Beauty Abounds | Picture This! 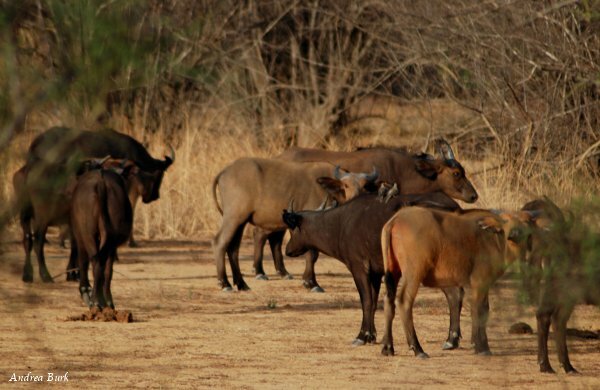 Burkina Faso is not only filled with beautiful people, but has many treasures in nature as well. During the rainy season, the foliage is lush with trees and other plants full of green leaves. 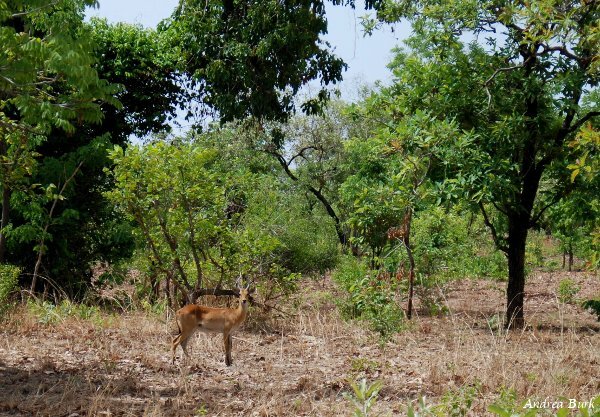 Yet, Burkina can also be beautiful in the dry season when bushes are reduced to barren sticks and trees are “wintering.” In fact, that is the best time to go visit a game park since it is a lot easier to spot the animals without as much of the dense vegetation. 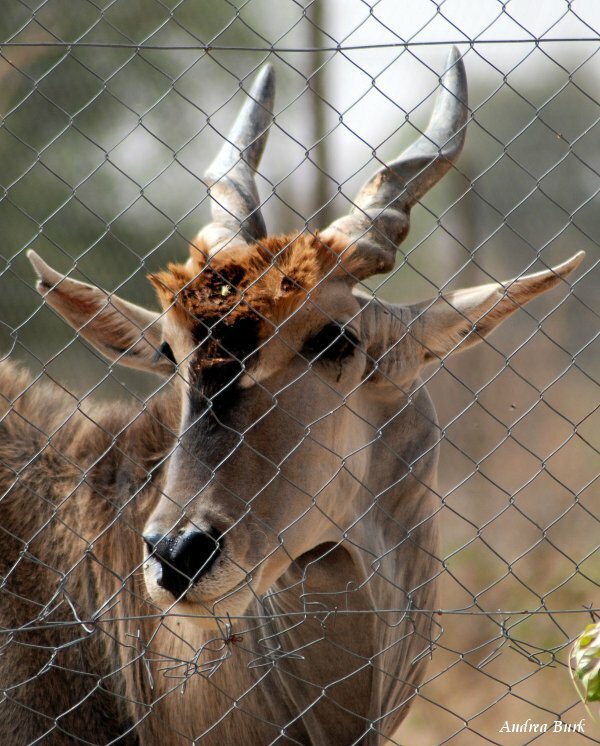 A good view of a deer at the game park during dry season. 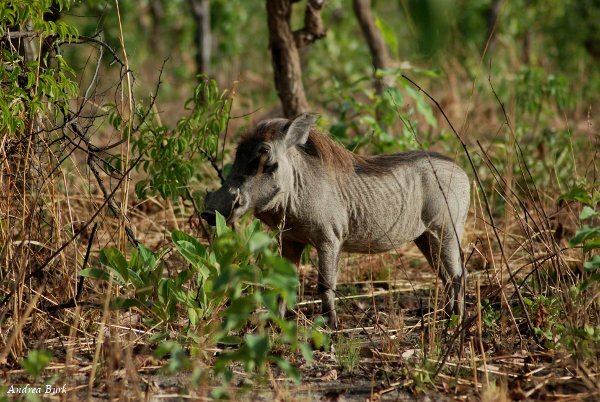 Here's a warthog peeking out from behind the bushes. 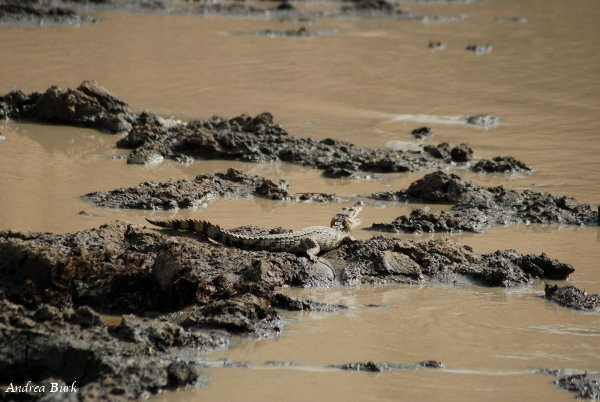 A crocodile suns himself on the mud and rocks. A close up of a crane at the watering hole. Some buffalo from a distance. Apparently it's rare to see them since the guide was very excited when we did. 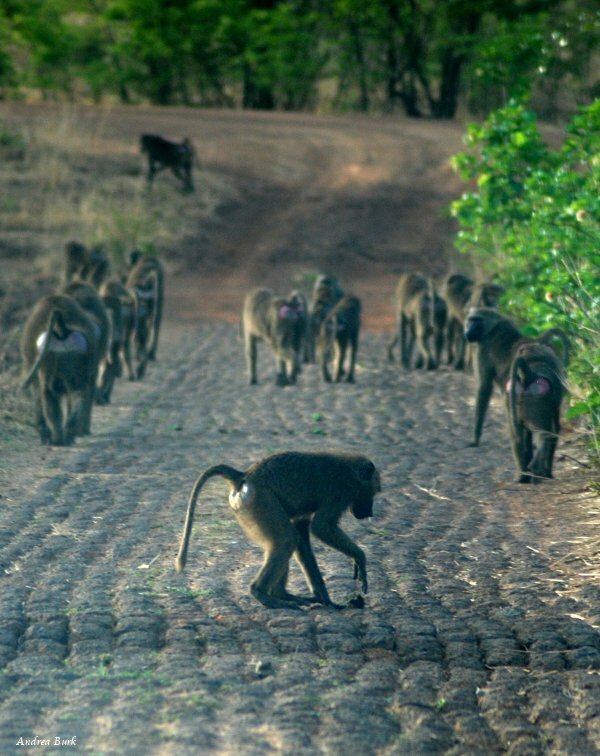 A bunch of baboons on the road. This is taken through the front windshield since it's not a good idea to roll the windows down around these guys! 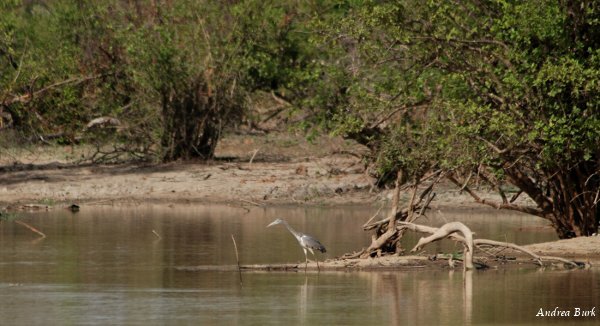 A bird at the edge of the water. 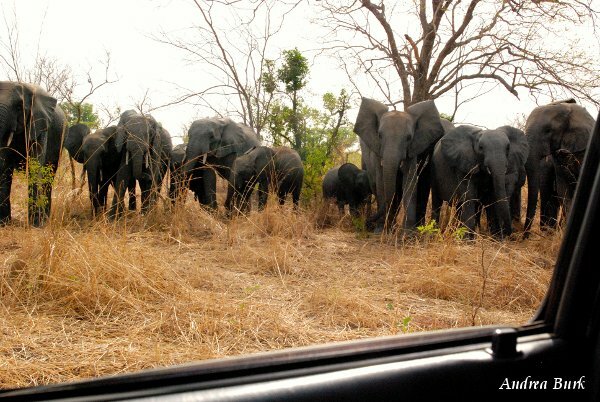 We spent a long time watching these elephants. This is how close we were to them! That's the truck window. "Hello!" Gotta love zoom lenses! 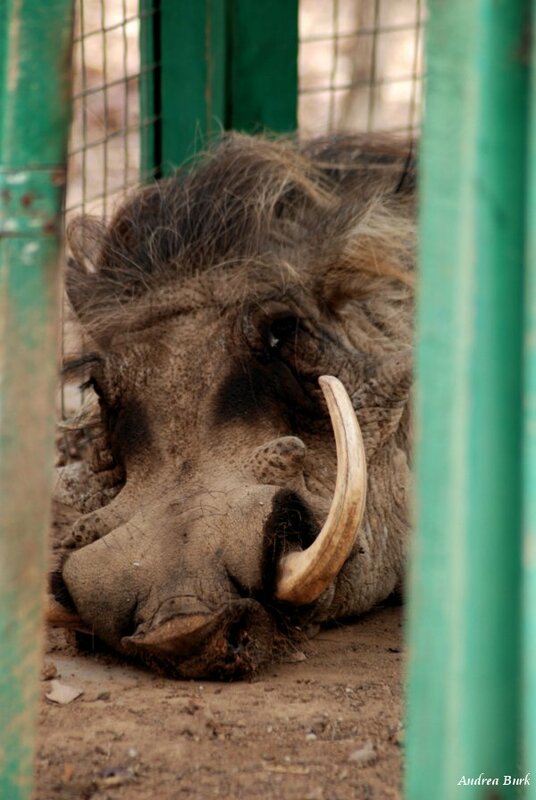 There are other places to see fun and exotic animals in Burkina as well. The president has his own little mini-game park/zoo. 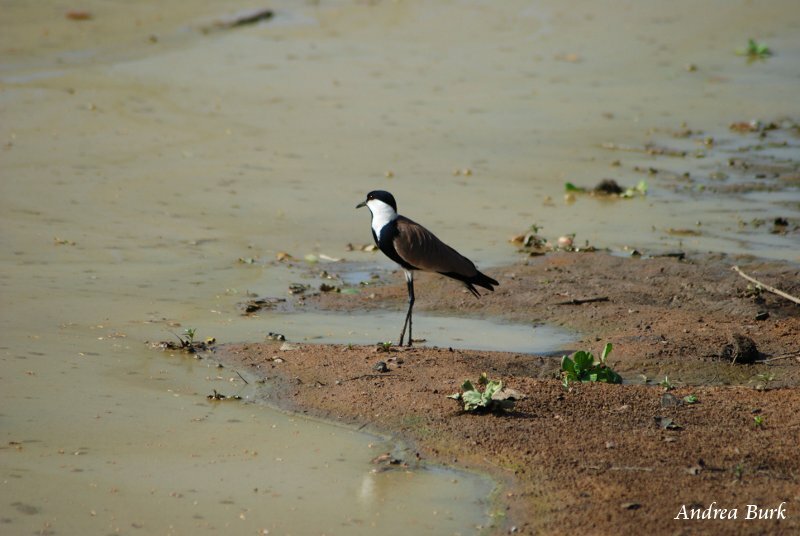 There are also birds around us in Dano and crested cranes at a bed and breakfast in the capital. 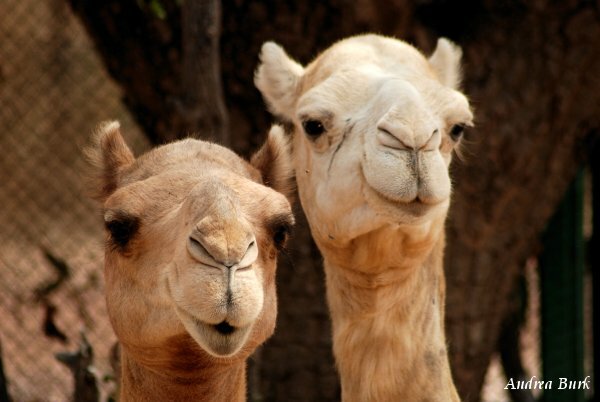 The camels at the president's zoo were great, their faces so full of personality. At the zoo, you could walk right up to the animals like this antelope, but I found myself wishing they were free. 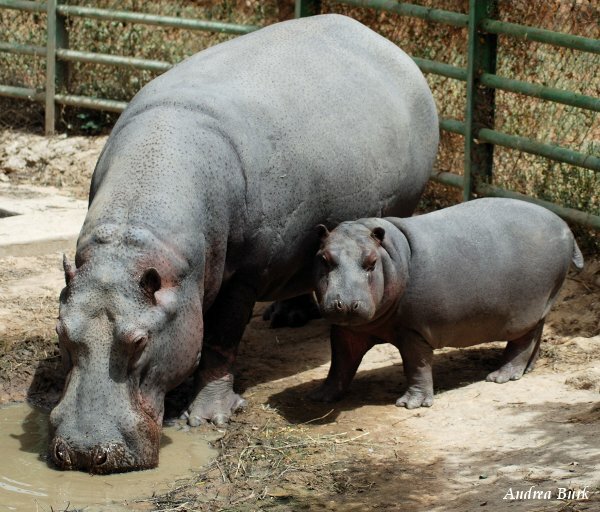 The hippos were happy with their mud hole. Cute little baby one! 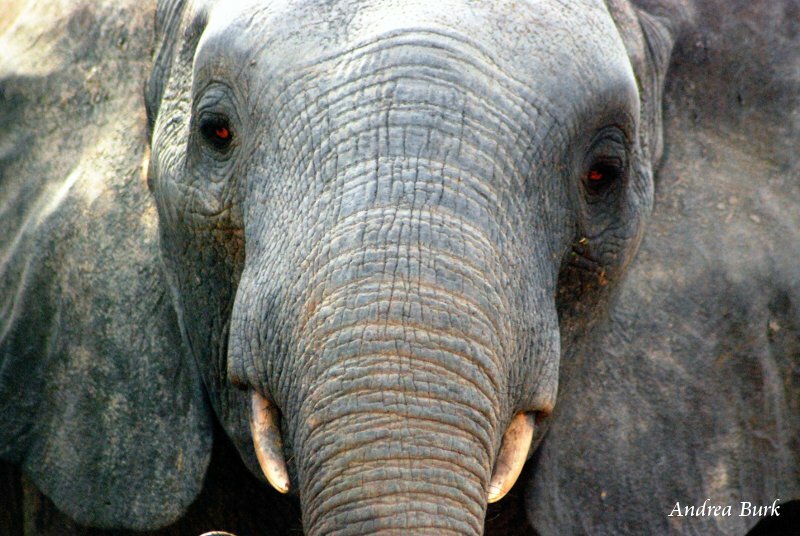 Poumba looks pretty sad though. Maybe he's just taking his sieste. 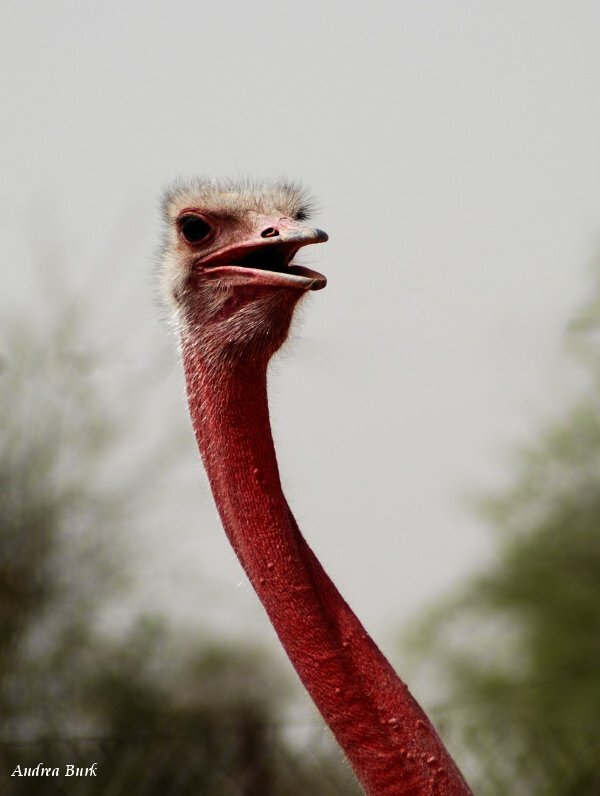 This ostrich looks so curious. 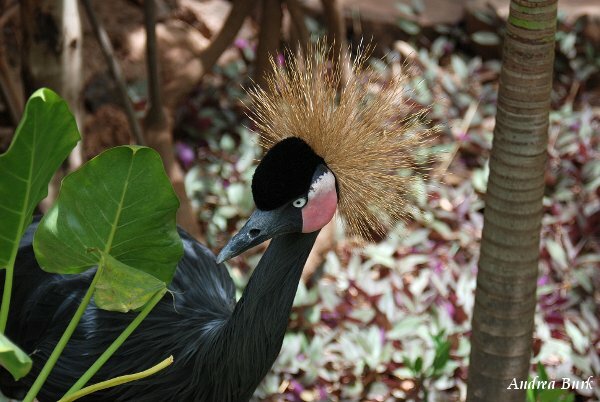 Karite Bleu, a bed and breakfast in the capital, Ouagadougou, has three beautiful crested cranes. 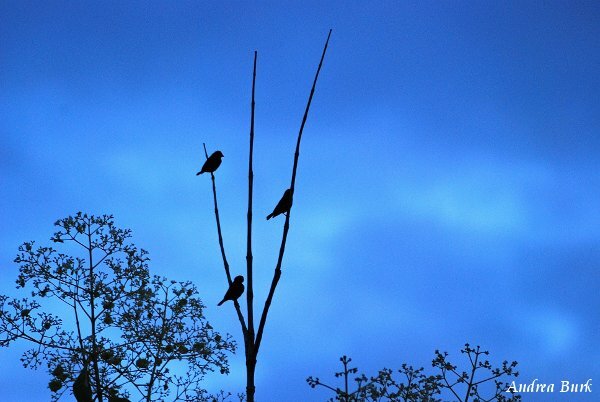 This picture of three silhouetted birds was taken near our house at dusk. What do you think? Beauty can be found anywhere if we just look for it! What is beautiful in your life? Have you missed something that could be beautiful? Describe the most beautiful picture you’ve ever taken. What appealed to you about the subject? Posted on December 9, 2011, in Uncategorized. Bookmark the permalink. 1 Comment. Loved the pictures, Andrea. May the LORD bless you and your work. Praying for you and your family.